I'm new to this Internet marketing / blackhat seo. 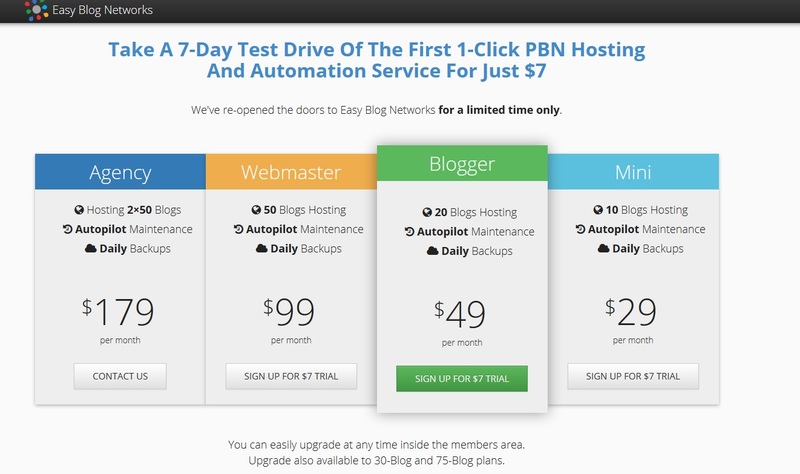 I've heard building your own pbn will help you maintain and rank any sites! First I have to get a tool for scraping expired domains. Third I have to get a good spinner that fit my bucks.. I'll show my process and tools soon And guides that I'm reading ) to help me achieve this.. I am really hoping for a successful campaign..
What else did I miss? Let me know lol! Maybe I can add it up..
Why don't you try restoring some of the expired domains from archive.org? Might save you a little bit of time / money? Sounds like a good goal and a plan of the things you need. I don't think it is a big deal what domains or hosting you do, so I wouldn't waste too much time thinking about it. For domains you can easily go to GoDaddy Auctions, a tool like Fresh Drop, or a marketplace like DomainsRForever that finds domains and sells them to you. 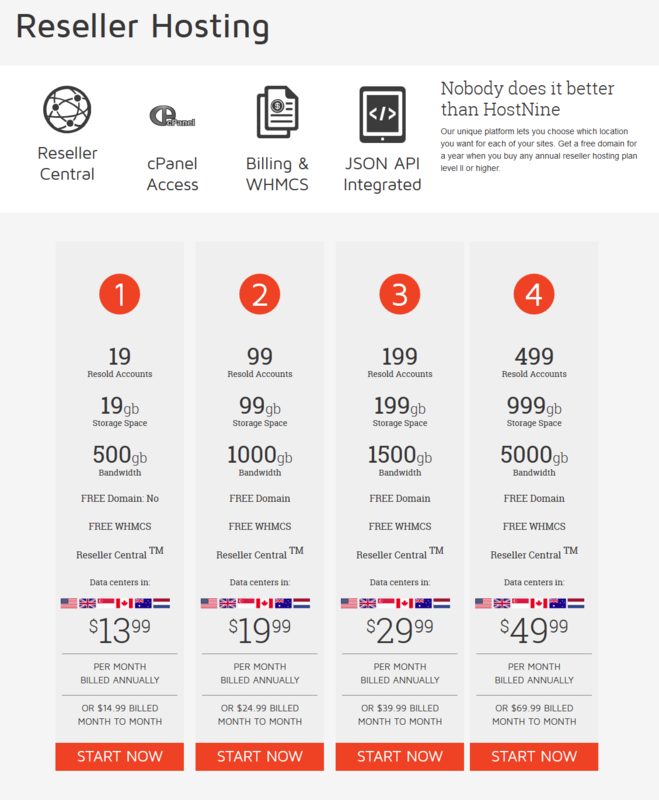 For hosting you can do any of a million different hosting companies, all about the same as the rest. For a spinner and an article creator (I assume that would work just as well for you as an article scraper) I would recommend WordAi and Article Forge, but of course my recommendation comes with some bias since I own both products. This case study seems like it has some promise as there haven't been any good ones that go from start to finish with PBN creation, but a lot of that depends on the effort you put into it. You talked a lot about tools and plans, but what is the first thing you are actually going to do and when do you plan on doing it? That part is more important than tools or strategies or anything like that! CharlesFloate, n00b and Golan like this. Thanks for the tips and recommendations guys! I found some good tools and guides over the Internet and ill share them soon! already gathering some funds to have a quick start next week. Wew i already got over 200$+ funds ready..
Heres what i am gonna do. 3. Find an expired domain scraper. 5. Find more funds for the tools that i need..
My aim and choices are for keyword research tool. I have read tons of reviews about this 3 tools. And will post the blog reviews soon for resources. I have to consider some few things before getting them because it has to involve cash, proxies, vps and tools like majestic, ahrefs, moz,. Currently my old site is already updated.. Since before i havent been doing seo for this site but just content writing.. And its been sitting on page 2-3 with just he content/ article. Now for the hosting.. I am thinking of the ff. Hmm what else?? Im still doing research with this.. Haha! 1. I found a gooddeal with accuranker since its a fast instant quick update. 6. What else to consider?? majestic.comI have chosen a keyword researching tool and an expired domain scraper. keyword researching tool: Secockpit + Long Tail PRO + Google Planner ( I can see that secockpit allows to import 1000 keywords for it to be checked and to be added in the list so its good for me) ill be just scraping keywords using long tail pro + google planner and upload it in secockpit. FYI: This is an old site of mine and i will write an article based in the keywords i am researching on.. perhaps a new topic or a sub topic of a certain topic that i have..
Review Reference: "if this is not allowed please remove" "If this is lacking if you have some more GOLD FIND guides let me know"
in addition from the shared info of admin "domainsrforever.com" is a really good database for expired domain that they have already registered and scrape.. so its a one stop shop where you can browse and check metrics of your preffered domain and hit buy button.. but well you have to still check it manually via majestic.com and ahrefs.com and i also believe we have to check its history via archive.org, screenshots.com and whoistools for its whois history.. especially the drop ratio. I am still fence with this one.. Why? with my current research i have found out that IP is very important..Althought we have a unique IP but! a big but with its reverseIP since almost all listed hosting i provided has a reverseIP problem.. why? for example. that they have about 50+ ips only? so if ever hundreds of users using this PBN solution they might be inclined toa footprint via reverseIP.. unless if they will add more IPs then okay.. and also one thing. they dont allow you to edit their httaccess.. since there is no cpanel.. unless you have to use a httaccess plugin editor.. "never tried it before"
now with the other choice i have.. Hostnine, I have heared alot of good news with this hosting provider especially with their reseller package. they also have multiple location and shared IPS depending on the location you choose. another one is Sitewyz they are similar to Easyblognetwork but they are not popular in seo forums, i dont know why. Never tested it but i have read that sitewyz is stealing traffic from their customers? and with their duplicated nameservers its a huge footprint that we must avoid. My Next Step is to look for a related Keyword to my niche site. which will be on "Technology and Entertainment" well its a very hard niche.. but will see. Second Step: I have already bought a VPS server for domain hunter gatherer since its a tool software it needs proxies. Third step: ill start scraping expired domains from relevant authority sites. I have read that having relevant PBN is a plus and a PBN with relevant Backlinks..I have also understand from a blog i read above that having the right 3Rs of expired domain is a killer! rather than high TF metrics.. will explain this along the case study..
will show a screenshots in a few days on how i scrape expired domains using the chosent ool i got. 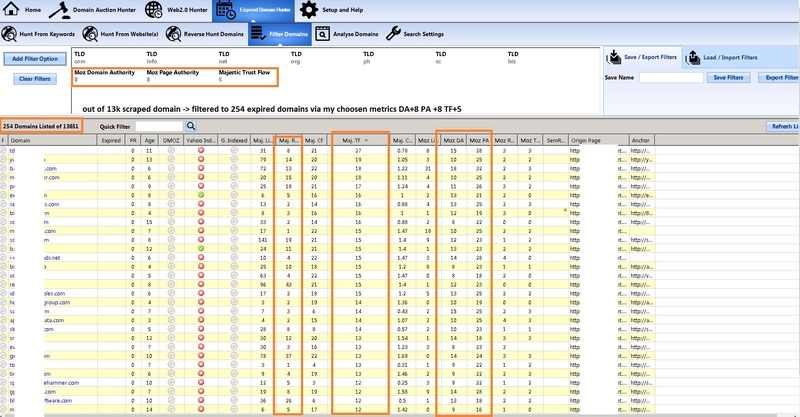 and also the set of keyword metrics that i have gathered using the tool above. "only metrics" no keywords to be shown for safety purposes.. I caution you to not get caught up in "analysis paralysis"...it seems as if you may be caught up in a vortex of it at the moment. 1) Like Cardine relayed: GoDaddy Auctions, a tool like Fresh Drop, or a marketplace like DomainsRForev is where you get your domains. You can even use ScrapeBox for this. 2) Hosting - http://www.webhostingtalk.com/forumdisplay.php?f=4 You can pick up hosting here for as cheap as $10 a year. 3) Grab as many unique free themes appropriate to the CMS you've chosen to use as possible. 4) EXECUTE - Re-Build sites content resurrecting it from archive.org cache. Build it... and the rest will fall into place. BigDog, dzianis, megodon and 1 other person like this. In my experience, pretty useless thing. You can scrape there something worth Tier2 but hardly for good PBN. If you're looking to host your PBN domains somewhere (all or some) - these guys are running a promo right now, 70% off with 15years coupon code. May be one of the best deals around at the moment. lemme just save you some time. For your tracking + keyword research and *domain research* (most important) - use Ahrefs. If you have some time on your hands and don't mind sifting through thousands of expired domains per day (4 hours a day I'd say looking at stuff) - then you can grab one of the expired domain listings like freshdrop or any other one that'll give you thousands per day, and run them through Ahrefs manually and search for gems. In that case all that you'd have left is hosting (depending on what school of thought you subscribe to you can either host all your pbn sites on the same hosting or on different ones), content (either spun or original) and... either setting up new sites or restoring old. 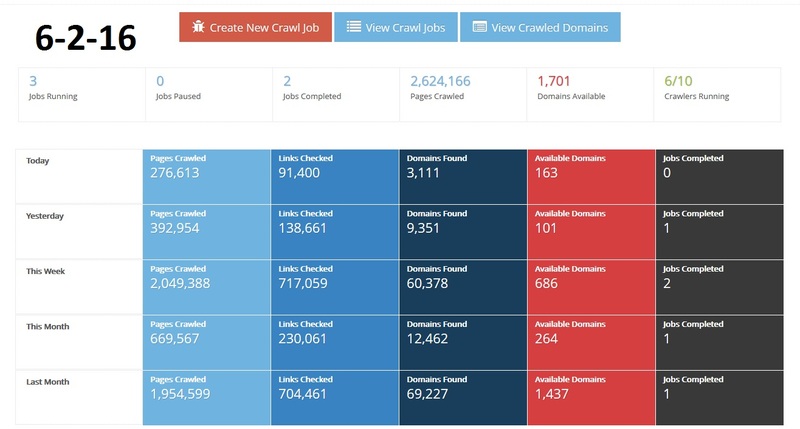 However if you're searching specific niche domains or just wanna do your own thang shawty you'll need some type of crawler. Thanks for this Heres their package.. with only 3 Ips included.. ill stick to hostnine.com for the meantime since i do not have enough funds for easyblognetworks but my first choice is easyblognetworks if i just got more funds lol! 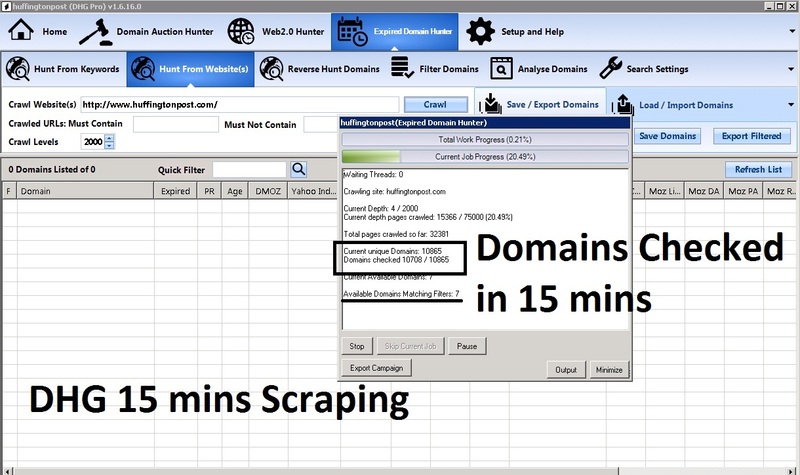 I have already purchased this two for 1 month just to compare what are their capabilities and limitations..
here is what i have found..
DomCop Scraping for expired domains from websites that i have inserted..
My thoughts: I am not satisfied since it is very slow and youll have a limitation of crawlers only 10 for 99$/month which is heck expensive. I have already crawling/scraping expired domains since 3 hours from now and i only got a few of them. 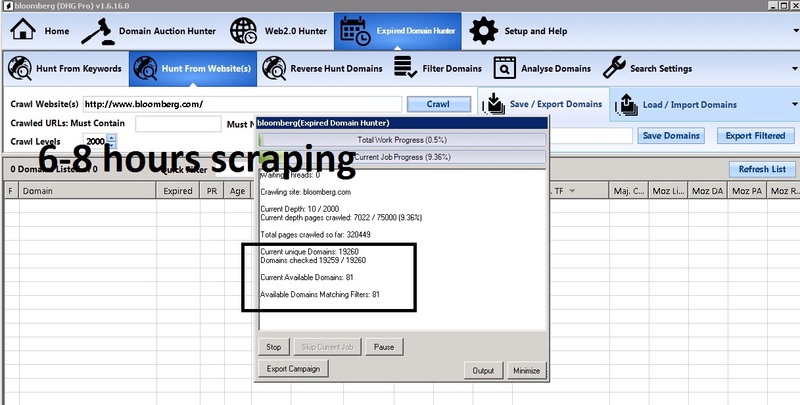 5537+ 5491+ 943 = 11,971 Domains Checked within 3 hours of scraping and a result of 84+540 = 624 available expired domains within 3 hours from different scraping crawlers jobs of domcop. 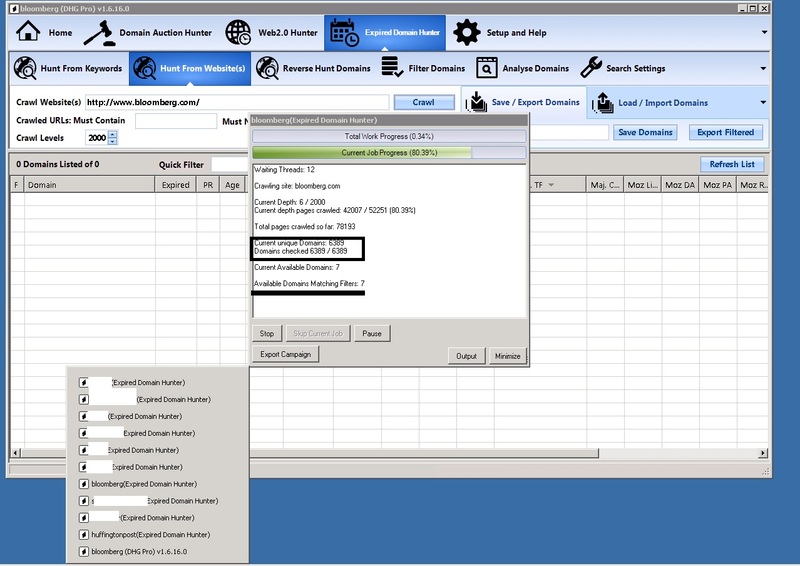 This software is pretty flexible since I can open multiple Domain Hunter Gatherer.. so i have opened 10 DHG.EXE which is equivalent to DomCop Guru level 1 Plan. Since DomCop scraper/crawler can run simultaneously.. not like DHG you have to run 1 DHG for 1 Crawler/1 Seedlist. It has already checked over 10,708 domains from huffingtongpost... and already gave 7 available domains.. its quite fast for a software tool.. I have to wait for the content to be ready and also! I have to wait for my tools to get my an expired domain!. mstchr, cardine, Gerry Downey and 1 other person like this. btw here are some updates from the two scraper.. this is from 5-7 hours earlier from the time i used the tools. Any comments guys? =) tips that you share to help me? lol! How many of those 90 domains have good backlinks and are spam clean, after you check them in Ahrefs? I bet 1-2, no more. Which is also good but does it pay off the software and your time? BTW regarding hosting, i have 40 reseller accounts at all different hosters, using them for my and clients' networks... PM me if interested. Sorry for self promotion. 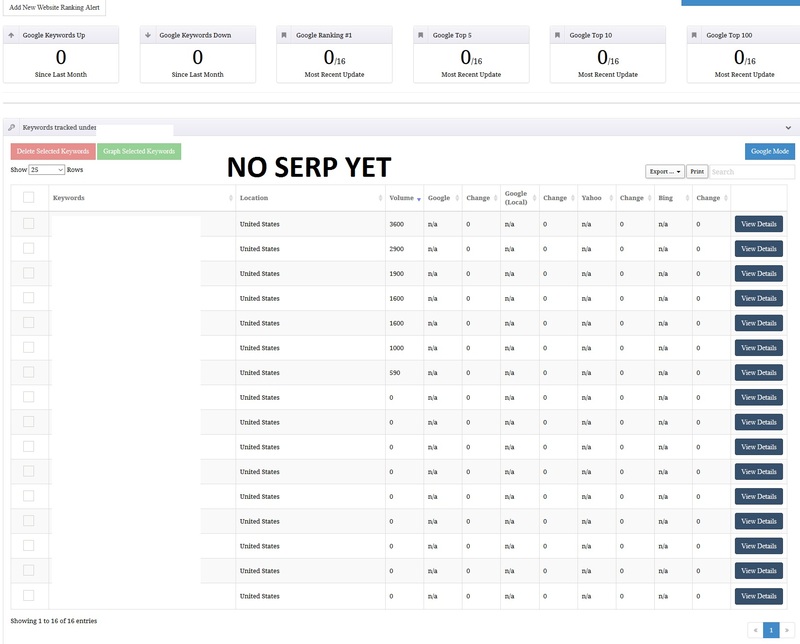 @Golan is right, you're going to waste too much time finding 1 or 2 domains. You need a service which will give you metrics in bulk like domcop or registercompass. I'm not sure why you think you need to scrap for domains anyways, there are many domains which drop everyday with great backlinks. The problem with scraping is that the domains you're finding have already been picked over when they dropped, you're just trying to sift through other peoples leftovers. Remember, you only need domains within a similar niche, not your exact niche. For example, if you're in the golf niche, you need domains in the sports niches. You have articles on your PBN site about different sports, then you drop on article about golf and link it to your money site. As far as hosting, I just picked up a few hostgator.com accounts that I could stick addon domains to and fill each account up with 10 or so domains. Done! I've never had a problem with sites getting de-indexed (knock on wood). I'd also hit up @Golan for that list of reseller accounts, I'm going to! hi @BigDog Thanks for the suggestions! Honestly I do not see registercompass is a big help or can do better than domcop and domain hunter gatherer.. its pretty slow because i have tried it a few weeks ago and i dropped it due to slowness and lagging website of thiers.. What i can see right now is that domain hunter gatherer is far more dominating domcop guru.. its fast and its a software so i can easily manipulate any controls and settings. based in the image below i posted. a proof of how fast dhg is. But ill stick to whati have currently Domcop Guru + Domain Hunter Gatherer..
im not sure with the statistics of the domcop guru's dashboard its kind off and different from the crawl job list.. I have not found and good expired domains yet! =) but im excited! 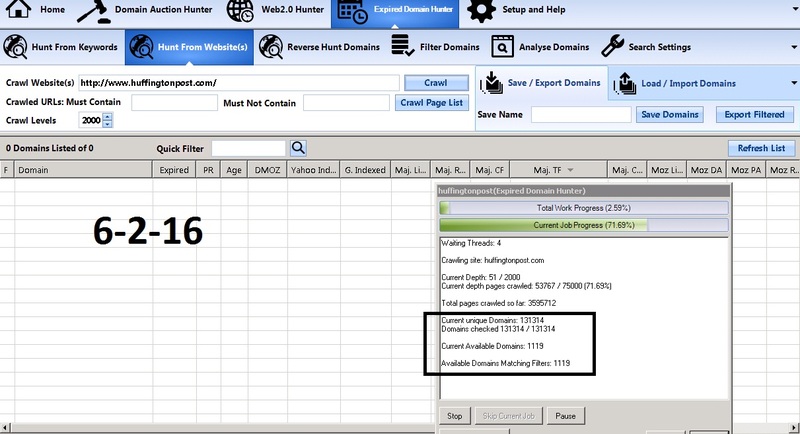 as what i can say that DomCop Guru is slow in scraping expired domains VS Domain Hunter Gatherer..
FYI to all that i have already got my article its quite good at a weight of 2000 word count! =) its all about gadget, entertainment so i am really hoping that this will work! For the meantime i saw articleforge i believe its a good article generation for PBN =) as its sales page states it produce far more quality article than other article generator and it does states it is always producing quality and copyscape passed article. a WOW for that! im thinking of getting it as soon as i can get some funds. due to funds exhausted already in tools for expired domain scraping and article moneysite orders from freelancer..
any advice? tips? violent reaction? lol! Hi! whats up all?! Guest what?! 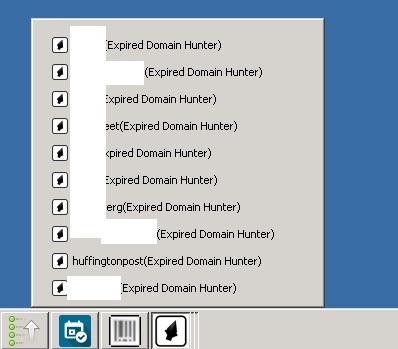 DHG Domain Hunter Gatherer gave me tons of High Filtered Domains! Per EXE I got over 200+ Filtered Expired domain but from DomCOP i only got 80 expired domains from all my crawl Jobs by which means i only found a few expired domain using Domcop.. its pretty slow really if you can check out the dashboard it can only scrape upto 400k or more.. not higher than 1m pages.. not like domain hunter gatherer it can scrape super deep! screenshots below for proof. Domain Hunter Gatherer from 1 EXE. I am running 10 EXE softwares that is sraping none STOP! so i am expecting more expired domains! and yes! im very happy! Sadly from Domcop Guru with their starter plan 99$ its quite expensive VS domain hunter gatherer for 77$... and its slow... see below for the result it gave me for over 5k domains available it only showed 80 expired domains which is based via my metrics da 8+ pa 8+ and TF 8+.. sad..
That's awesome @n00b , let us know how many of them are decent and if you picked any of them up.